Put the rhubarb, strawberries, and water in a small saucepan and bring the heat up to medium/high. Use a potato masher to squish the strawberries and their juices out. Keep the mixture at a low simmer until the rhubarb is softened – shouldn’t be any more than 5 minutes. 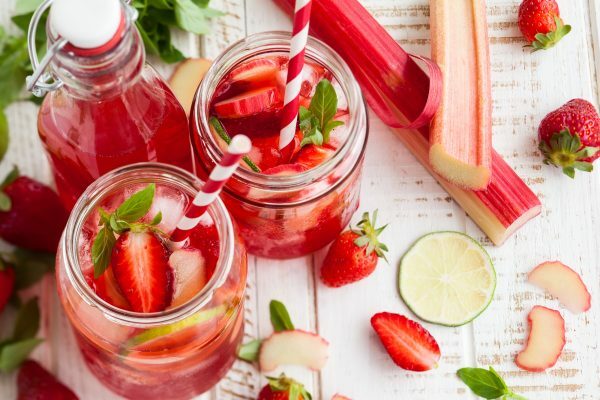 Pour the cooked strawberry rhubarb mixture into a blender and puree – taste test and if it is too tart you can add a couple tablespoons of raw honey. Transfer the puree to the freezer to chill for a quick half hour. Once the strawberry rhubarb mixture is cooled, whip the cream, maple syrup, and vanilla extract for about 2 minutes to make whipped cream. 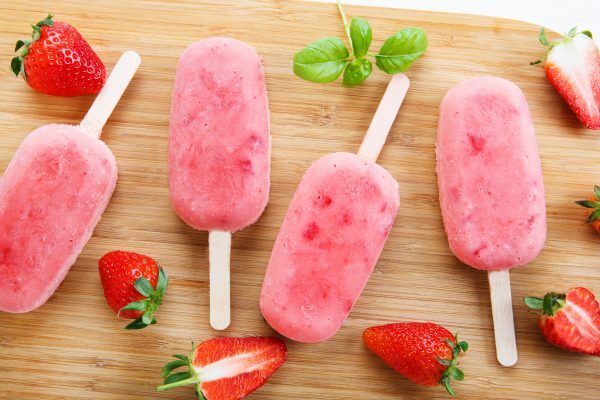 Fold the whipped cream gently into the strawberry rhubarb mixture, and pour into popsicle molds to freeze. I like to use a spoon to scoop the popsicle mixture into the molds since it is on the thicker side with the whipped cream. 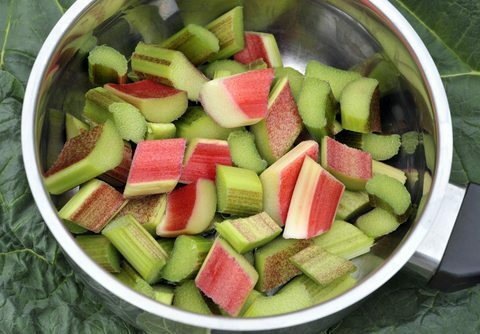 Cut rhubarb into 1/4-inch-long pieces. Peel, core and dice apples. Combine rhubarb, apples, celery, and scallions in mixing bowl, stirring to mix. Stir in sour cream and blue cheese until ingredients are evenly coated. Sprinkle with walnuts, and serve. In a saucepan, stir together the water, the rhubarb pieces, the sugar, the lemon zest and the mint. Bring the mixture to a boil, stirring until the sugar is dissolved. Reduce heat, cover and simmer for 20 minutes. Stir in the lemon juice and soda. Serve over ice, garnished with a sprig of mint. 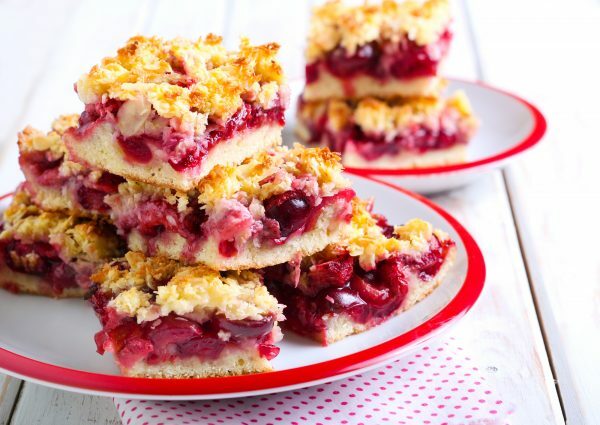 In a large saucepan, combine the rhubarb, 1/2 cup brown sugar, 3 tablespoons water and lemon juice. Bring to a boil. Reduce heat to medium; cook and stir for 4-5 minutes or until rhubarb is tender. Combine the cornstarch and remaining water until smooth; gradually stir into rhubarb mixture. Bring to a boil; cook and stir for 2 minutes or until thickened. Remove from the heat; set aside. Bake at 350° for 25-30 minutes or until golden brown. Cool on a wire rack. Cut into squares.